The Duchess of Cambridge debuted these loafer-inspired pumps during the Royal Tour of Canada in 2016, when she and Prince William explored the town of Whitehorse. The 4" covered heels have a supple leather upper with polished goldtone hardware. They feature an almond toe and fringe buckle detail at the vamp. They are finished with a signature pebbled rubber sole. 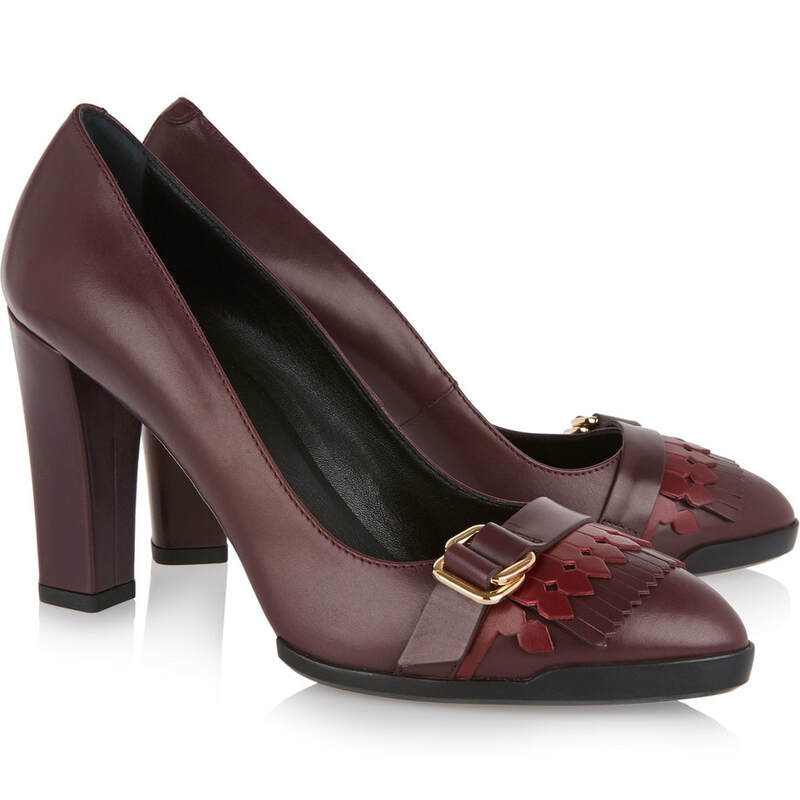 STYLE FILE: Tod's Burgundy Fringed Leather Pumps as worn by Kate Middleton, The Duchess of Cambridge.